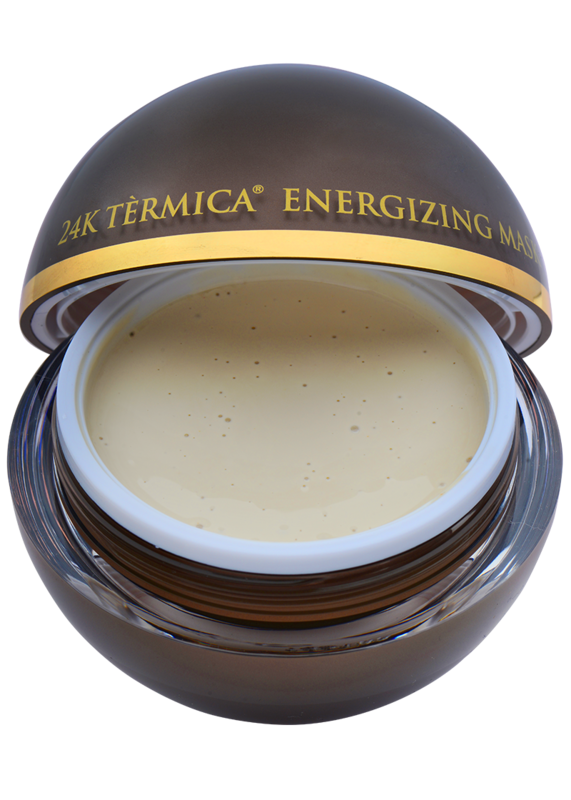 The 24K Tèrmica® Energizing Mask provides a unique heating effect when applied onto skin. 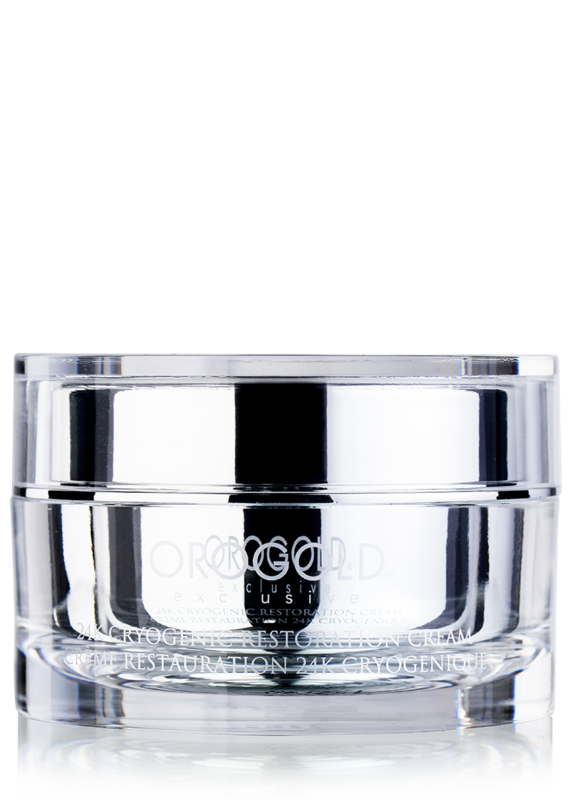 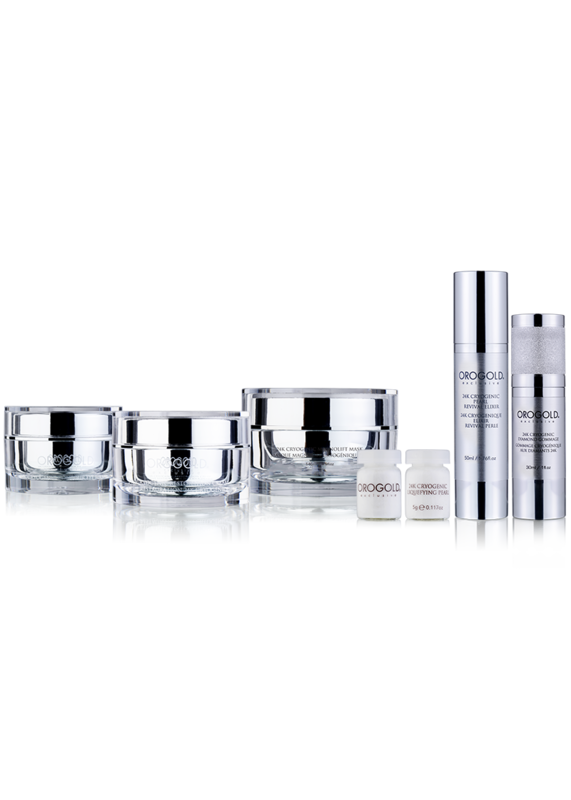 The heated formula maximizes the anti-aging benefits of vitamins A (Retinyl Palmitate), C (Ascorbic Acid) and E (Tocopheryl Acetate) to promote a fresh and energized appearance. 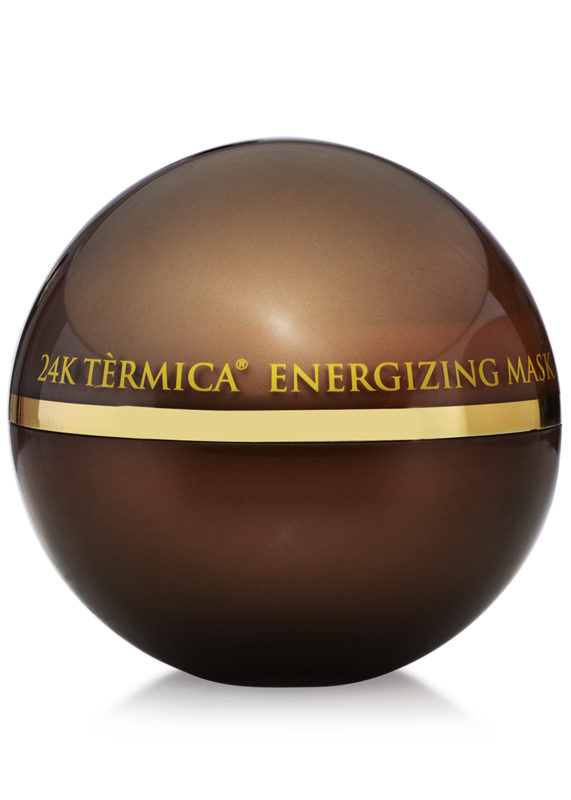 This thermal mask will pamper skin and leave it beautifully radiant. 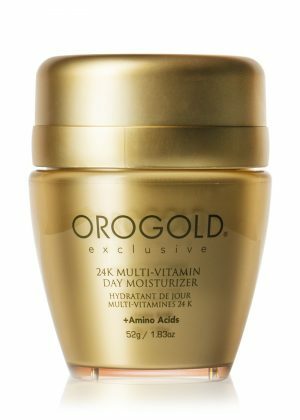 Use once per week for the first month, Then apply monthly. 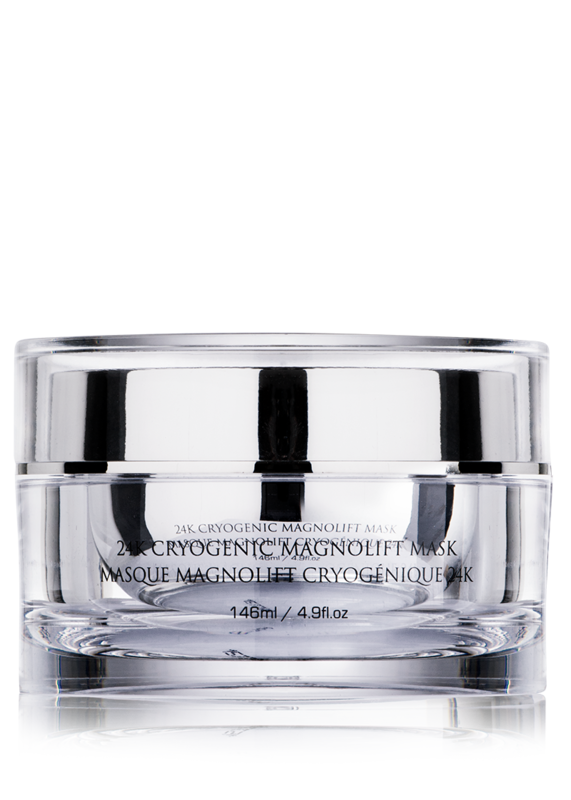 Apply to cleansed skin and gently massage onto the face in a circular motion. 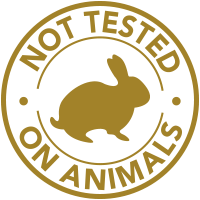 Allow to rest for 10 minutes, then rinse. 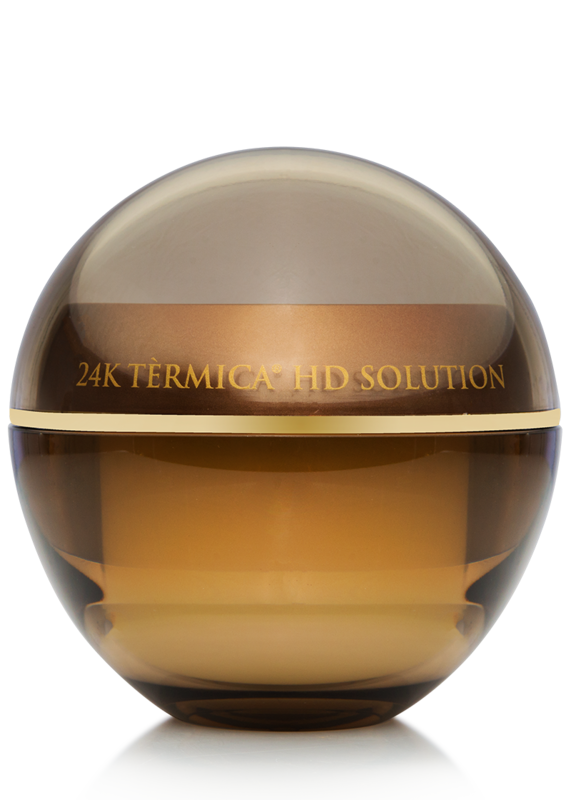 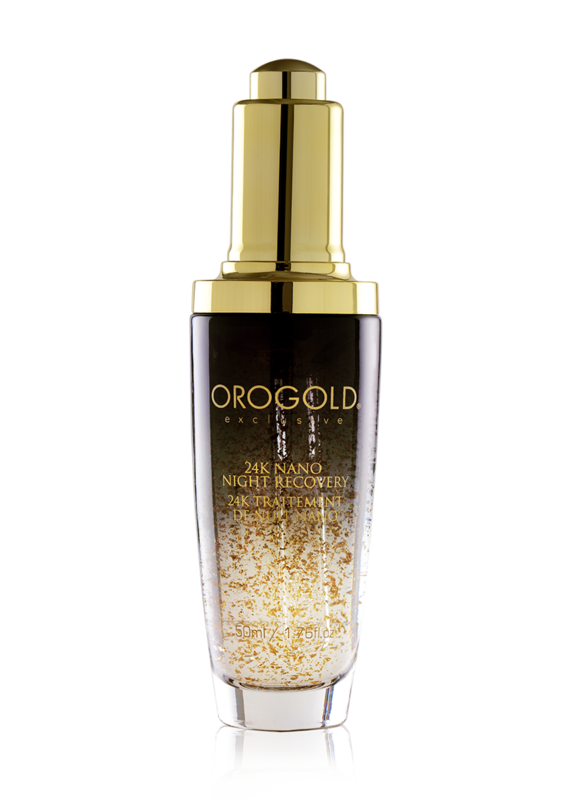 For a more intense treatment apply the 24K Termica® Activation Serum over the mask. 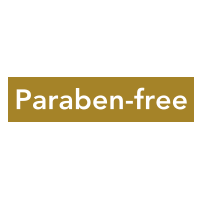 Peg-8, Kaolin, Zeolite, Methyl Gluceth-20, Gold, Retinyl Palmitate, Ascorbic Acid, Tocopheryl Acetate, Arnica Montana Flower Extract, Aloe Barbadensis Leaf Extract, Prunus Amygdalus Dulcis (Sweet Almond) Seed Extract, Coffea Arabica (Coffee) Seed Extract, Citrus Limon (Lemon) Fruit Extract, Angelica Archangelica Root Extract, Phenoxyethanol, Ethylhexylglycerin. 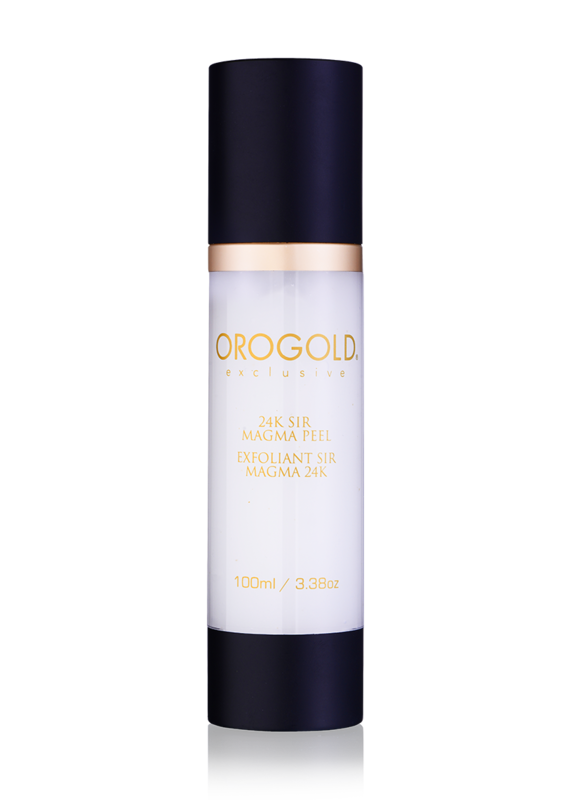 Does this mask dry on the skin? 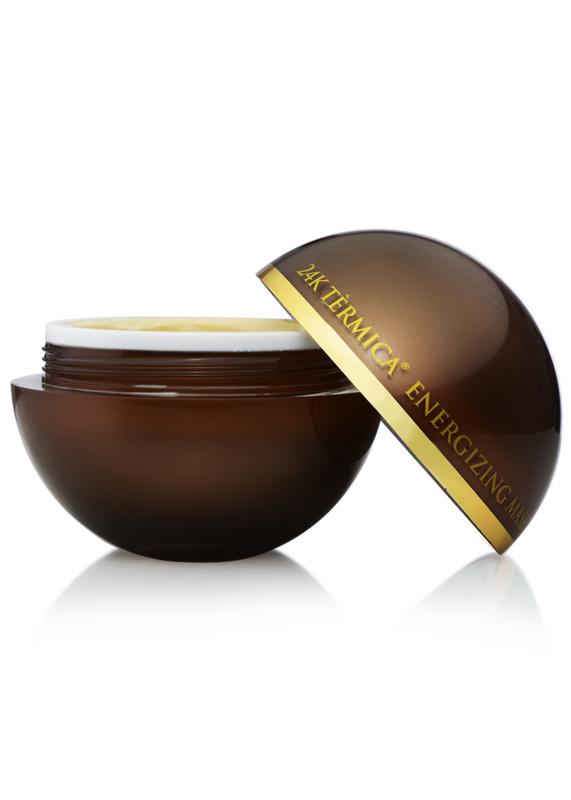 Unlike traditional clay masks, the 24K Tèrmica® Energizing Mask does not dry on the skin.